This week the largest mobile network operator in Finland, Elisa opened their LTE (4G) network service for consumers and businesses. Before they had commercial trials with a few enterprise customers. Elisa has LTE coverage only in Helsinki and Tampere, but they claim to offer “4G speeds” in over 100 cities by the end of this year. The trick is to call their latest 3G networks updated with the Dual-Carrier HSDPA technology as 4G too. DC-HSDPA (also known as Dual-Cell HSDPA) improves downlink speeds up to 43 Mbps, and Elisa’s competitors DNA and Sonera (part of TeliaSonera group) are also deploying this technology in Finland. Network vendors support it too; at least the three largest mobile network vendors Ericsson, Huawei and Nokia Siemens Networks offer this as hardware and software upgrades to existing networks. Elisa’s competitors DNA and TeliaSonera have used the term “4G” for their LTE networks which they have have in a few cities. 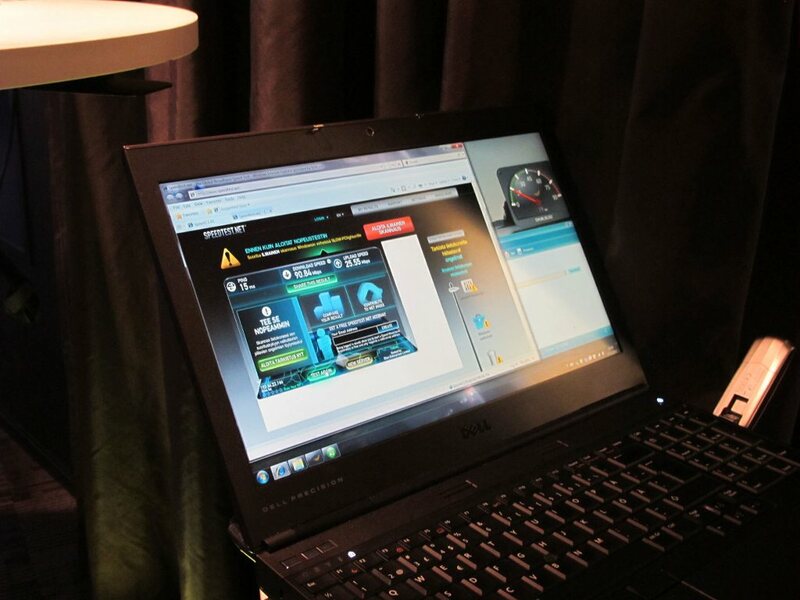 Elisa now takes a very different approach by hyping 4G speeds soon in over 100 cities. It’s easy to guess DNA and Sonera will follow. Sonera has already commercially launched LTE service in Helsinki and Turku, and DNA will launch it by the end of this year. These pperators are now building LTE at 1800 and 2600 MHz, and they will use 800 MHz as soon as possible for wider coverage too. Elisa showed LTE speeds with the Speedtest.net service, but they also said they won't be marketing certain maximum speeds. 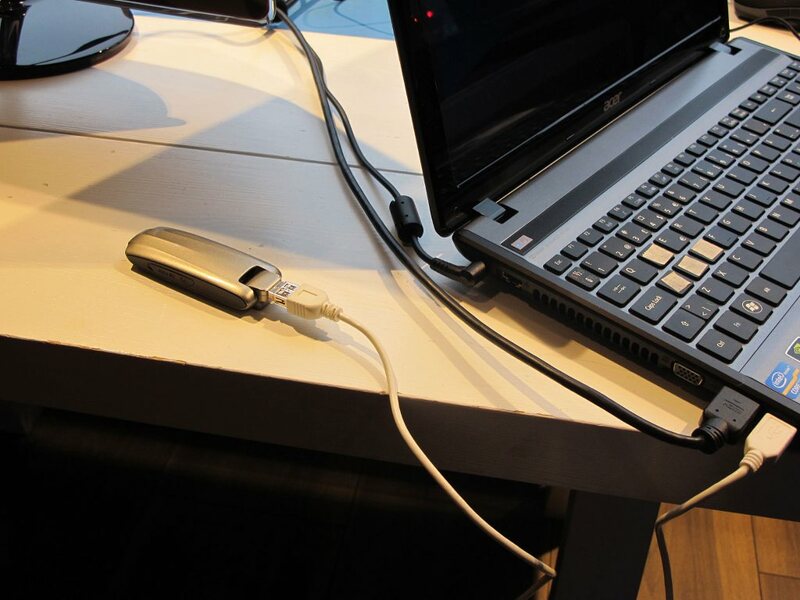 4G sticks for laptops from Huawei and ZTE are quite large, and you may need a cable if you have many USB devices. They very power hungry too. Elisa can justify this kind of 4G marketing with a few arguments. First of all, the International Telecommunications Union (ITU) announced in December 2010 HSPA+ technologies can also be called 4G. As far as I know, the ITU gave up under pressure from operators to accept HSPA+ as 4G too. Secondly, 4G has never been a specific technology, but instead a marketing term, said CTO of Nokia Siemens Networks Hossein Moiin when I interviewed him earlier this year. Technology wise it also makes sense to bundle these terms, because the latest base stations and software upgrades support multiple radios and frequencies all the way from 2G (GPRS(EDGE) to 3G (UMTS(HSPA) and the latest DC-HSPA and LTE technologies. Then again, some telecommunications engineers think not until the LTE-Advanced networks (with theoretical downlink speeds up to 300 Mbps, or 1 Gbps in the future) come we can talk about real 4G. But for consumers it’s still quite a different service, if you compare an HSPA+ modem to an LTE modem considering downlink and uplink speeds and response times (latency). Elisa has tried to make this sensible by selling different classes of speeds for flat-fee data; 19,90 euros up to 50 Mbps downlink speeds and 39,90 euros without speed limitations, which means theoritically up to 100 Mbps downlink and around 25 Mbps uplink. Paying for the latter package only makes sense if you are on LTE coverage area, which means only Helsinki and Tampere at the moment. Elisa’s CEO Veli-Matti Mattila said in the press conference they’d build LTE coverage in many cities, but he did not share specific details yet. However, Elisa’s executives told expanding their LTE coverage very much depends on how fast they can start deploying 800 MHz networks, and the license terms for this frequency. The Finnish government is expected to decide this by the end of this year. Some kind of an auction is likely based on a recent statement from the Ministry of Tansport and Communications. ← Should we trust in Chinese mobile vendors? I wonder what kind of impact the 4G services will have on traditional xDSL business. Over the last two years the number of xDSL subscriptions has gone down ~10% — but the cable TV and fiber connections have increased accordingly. The 4G could be competitive both in performance and price against the xDSL for many users. ”Elisa has LTE coverage only in Helsinki and Tampere”. That is actually not exactly true. I received my 4G USB-stick modem today. The map showing the 4G network coverage says that I should get LTE. But the reality is, I can only connect via ”HSPA+ Elisa (Roaming)”. Download speed is about 5Mbps (600Ko/s). This is 3G+. When scanning the networks available, ”Elisa 2G/3G” is shown. Therefore, Elisa/Saunalahti doesn’t have a real LTE network in Tampere. Thankfully there is this tyytyväisystakuu. I’ll send the package back to Saunalahti next week. Elisa 4G sounded really good on the paper. Too bad the network doesn’t exist.